Social media analytics tool Zuum now allows brands on Facebook to determine when their competitors are “significantly” promoting posts on the social network, and the impact of that promotion on their engagement levels. Detection of heavily promoted posts and insights into much the promotion contributed to engagement. 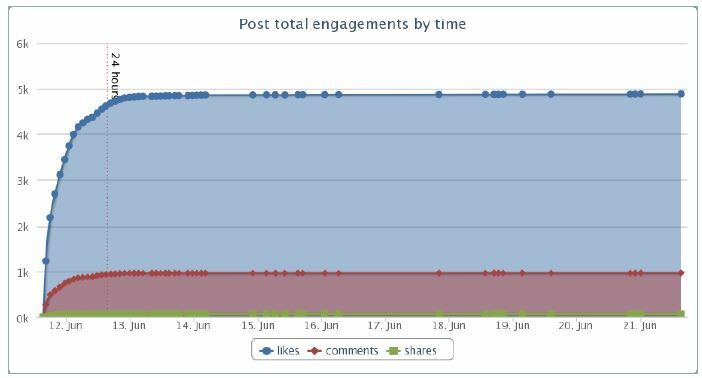 The ability to analyze the overall impact of promoting posts for any brand over any time period. Accurate engagement figures including most engaging times of day, subjects and types of media. Determining the impact of post promotion on competitors’ campaign performance. Based on research that we conducted on more than 2,000 posts from June and July 2014 with more than 100 engagements, we found that the percentage of engagement that happens after the first 24 hours is a strong indicator of the presence and level of paid promotion. 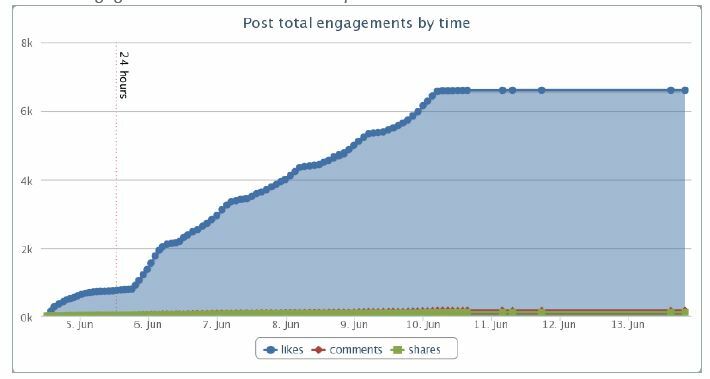 The data below show the odds of a post having paid promotion based on what percent of the total engagement happens more than 24 hours after it was initially posted. So for a post in which 40 percent of the engagement happens after the 24-hour mark, there’s a 93 percent chance the post had paid promotion. The flattening at the 24-hour mark is basically the time-decay component of the Facebook algorithm pushing that content out of the News Feed. When posts have heavy promotion, the curve typically takes a very different shape. Posts that are promoted heavily tend to display growing engagement well beyond that 24-hour mark. Note the chart below, and how the engagement is just starting at the 24-hour mark. Brands on Facebook: Do you use Zuum or any similar services to keep tabs on your competitors?